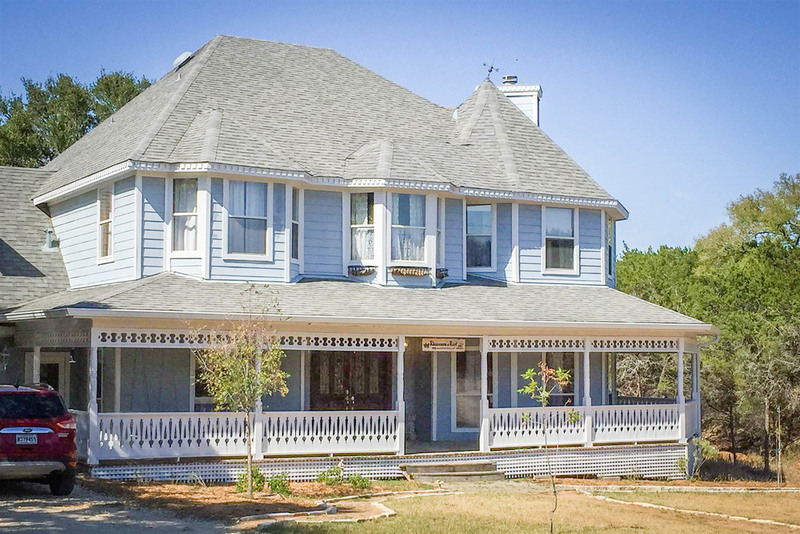 Rhiannon's Rest is an elegant six-bedroom Queen Anne Victorian house located on the outskirts of Austin, Texas. The house is chockfull of interesting architectural details, including a wrap-around porch looking out to six Hill Country acres of woodlands. The estate ground includes a pond, creek, and mature oak trees that hides the house visually from the neighbors. Gingerbread handrails, dental moldings, fretwork spandrels between the living room and entrance hall and Tiffany lighting fixtures are among the unique features of Rhiannon's Rest. Rhiannon's Rest is available for filming. For more photos and information on the property, contact us today.